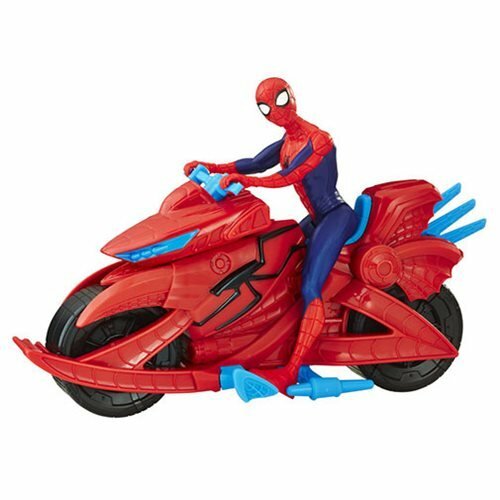 Imagine the web-slinging Super Hero zooming off to the next adventure with the 6-inch-scale figure and cycle vehicle! This figure features basic articulation for poseability. Kids can imagine dashing into action with this figure and vehicle, leaving villains in the dust! Create the ultimate good versus evil showdown with Marvel Spider-Man action figures!